From one LL to another - someone is in a real blogging slump and I can only be thankful that at least I have something that keeps the blog going until I resurface. Earlier this week Marg posted the longlist for a new Australian literary award, the Stella Prize. Two of the books have been on my TBR for a while, the third I hadn't heard of but happened to see it on the shelf and decided to try it. So the first three in today's loot are all by Australian authors. 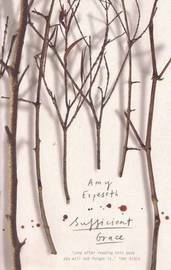 Sufficient Grace by Amy Espeseth - Ruth and her cousin Naomi live in rural Wisconsin, part of an isolated religious community. The girls lives are ruled by the rhythms of nature and their families beliefs. Beneath the surface dangers lurk! The Brides of Rollrock Island aka Seahearts by Margo Lanagan - On remote Rollrock Island, the sea-witch Misskaella discovers she can draw a girl from the heart of a seal. I'm not much of a YA reader and have been putting off reading this for ages. 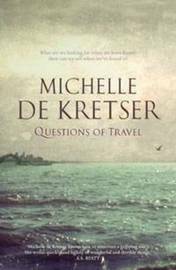 Questions of Travel by Michelle de Krestner - ' A mesmerising literary novel that charts two different lives. Laura travels the world before returning to Sydney. Ravi dreams of being a tourist until he is driven from Sri Lanka by devastating events.' - sounds interesting. 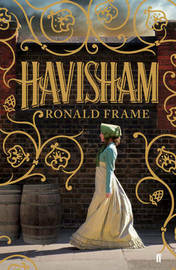 Havisham by Ronald Frame - the story of Miss Havisham's (from Great Expectations) early life. I don't like spin-offs and have been trying to make up my mind whether or not I really wanted to read it. When I saw it on the New Books shelf today I remembered Jane's comment 'Ronald Frame got it just about right' and into the bag it went. 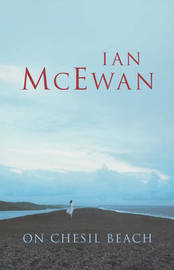 On Chesil Beach by Ian McEwan - 'July, 1962. Edward and Florence, young innocents married that morning, arrive at a hotel on the Dorset coast.' I just happened to pick this up and thought it sounded promising - at 165p it's only novella length so will be quick reading. 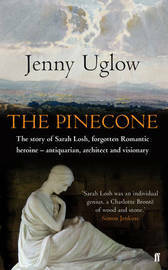 The Pinecone by Jenny Uglow (NF) - the story of Sarah Losh, forgotten Romantic heroine - antiquarian, architect and visionary. I'm very excited about this one. Last year I was looking in the library catalogue for another of Jenny Uglow's books when I spotted this one. I didn't think I'd have any problem finding it on the shelf but week after week it was never there so in January I finally put it on hold. What did you bring home from the library this week! I'm sorry to hear about your slump - but I hope you're still enjoying the books. It will pass - soon, hopefully. No problem with reading and have had some great books this month. I hope one of these books inspires you. If I was a betting woman my money would be on The Pinecone, but Havisham is very readable too and I like the look of the others. My money is on The Pinecone too - I just hope I'm not raising the expectations too high. I am so excited to get my hands on the new Uglow! And yes, Library Loot is a godsend when you're in a blogging slump. Enjoy your books! I can't wait to start The Pinecone. I'd never heard of Sarah Losh but she sounds a fascinating woman. I like your loot! On Chesil Beach is wonderful, it was one of my favourite reads of the year a few years back. Brides of Rollrock Island sounds interesting too. Thank you Sam - that is nice to know. As it's so short I'm going to read it first . Sufficient Grace looks interesting - I enjoy books about unusual religious groups. Happy reading! So do I and it was what initially took my interest but I was surprised the author is Australian - I had assumed American. It's interesting that you are reading an Australian book set in Wisconsin -- I may borrow it for my 50 States of America challenge! I actually enjoyed On Chesil Beach. Hope you do too!